Comprehensive review of RU-21. See what real experts and actual users have to say about this hangover cure. 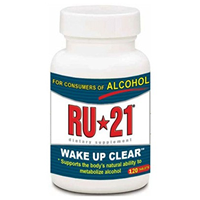 RU 21 is a pretty good hangover prevention product. It contains 21 all natural vitamins and amino acids that are believed to assist in preventing those nasty hangover symptoms. It’s extremely affordable, but unfortunately I couldn’t find a money-back guarantee for this product. The tablets smell really funky and gross in the bottle, but luckily you can’t really taste the tables. On the upside, RU 21 is extremely simple to use. You just need to remember to take two tablets before your first drink and 2 more tablets after your last. My favorite part about this product is that my hangover was actually prevented. The morning after results really surprised me because I woke up without any major hangover symptoms. Overall, I really enjoyed using RU 21 because it’s simple, effective, and extremely affordable. RU 21 is extremely easy to use. Swallow two tablets before your first alcoholic beverage and two more after your last drink of the night. Taking them before and after you’re drinking makes them easy to remember because you don’t have to remember them while you’re drinking. Even better you can leave them at home ready for when you head to bed. I always prefer using a hangover cure that doesn’t need to be brought with me. Unfortunately, the tablets have a really gross smell, but luckily you can’t really taste them. What I love about these tablets is that they are pretty small and super easy to quickly swallow. The next morning after using RU 21, I felt pretty good. I woke up without any major hangover symptoms. The results are definitely the best part about this product. I didn’t think using these tablets would actually prevent the most annoying components of a hangover, but I was pleasantly surprised with the results. RU 21 has many awesome natural ingredients. It contains Vitamin B2, which is essential for the metabolism of carbohydrates (to produce energy) and amino acids. 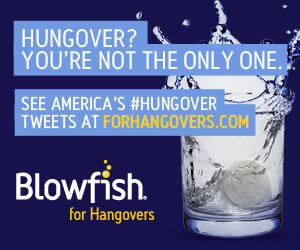 Supposedly, hangover symptoms are more intense for people who have insufficient vitamin B2 levels. Another awesome ingredient is L-Cysteine. L-Cysteine helps break down the nasty toxins that create horrible hangover symptoms. Finally, Dextrose is another key ingredient in RU 21. Dextrose is believed to be our body’s main source of energy. Unfortunately, when we drink alcohol our body becomes dehydrated and looses electrolytes (like Dextrose) causing horrible hangover symptoms. Luckily, I didn’t experience any major side effects from using RU 21. It costs $29.99 for a bottle of 120 tablets. That works out to about $.50 per serving. Unfortunately, I couldn’t find a guarantee.